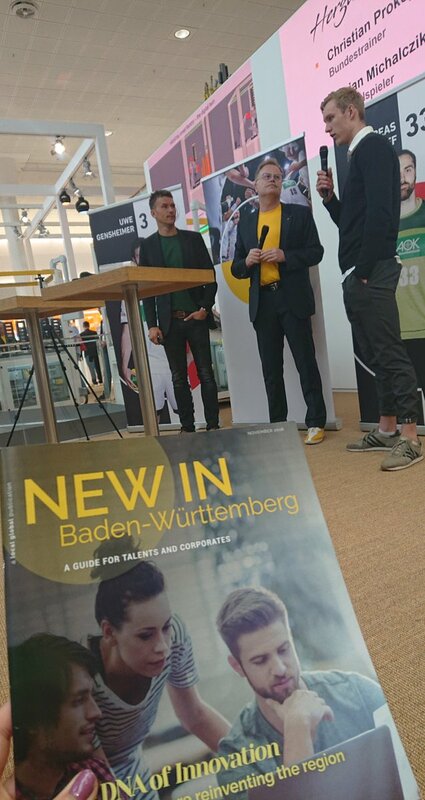 The Cooperative State University of Baden-Württemberg (DHBW) is appealing to high school graduates, corporates and education politicians worldwide. What they don’t seem to quite understand: This education model is not an export product, says the President of DHBW, Prof. Arnold van Zyl. Four different areas of study, over 20 degree programs, 100 fields of study, about 33.500 enrolled students in the current winter semester (2017/2018): The Cooperative State University of Baden-Württemberg has grown into a considerable giant in the German higher education landscape. 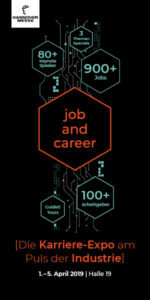 Their dual concept is in demand worldwide and appealing equally to school graduates, companies and oliticians. 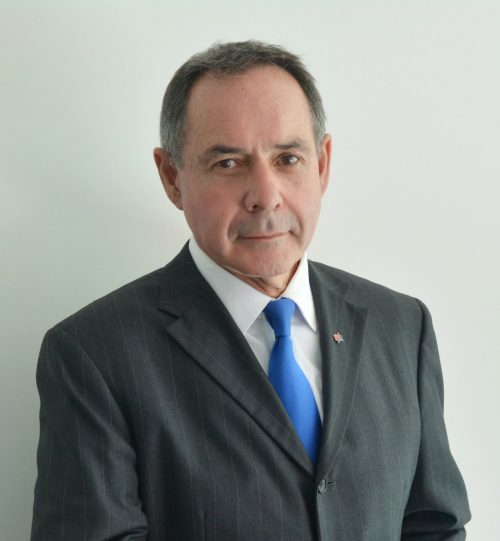 We spoke with the president of DHBW, Prof. Arnold van Zyl, about nd why this educational concept is not blindly transferable to foreign economies. How does your institution adapt to a rapidly changing world, for example through digitalisation, Mr Prof. van Zyl? We are successful in this adaptation, because here in Baden-Württemberg we have an active ecosystem of innovative companies in all industries and in every community. Our sensors for change are our course leaders, who look after the students on site but also the companies where the practice phase is taking place. Our study commission in the departments of technology, economics and social affairs then picks up those impulses. However, the unique feature of the DHBW are the companies that are involved in the processes of curriculum development and management, and which also provide lecturers. That’s how we stay agile and have adapted a range of programs to meet the demands of digital business models. However, we do not want to train a pure Bosch or Daimler engineer – and we value degrees that are academically recognised but also relevant. This is also attracting great attention from abroad. How international is the DHBW? Our international strategy is based on three pillars. That is, first of all, the needs of our dual partners. They are successful companies that are strong in exports and often have branches abroad. Teaching intercultural competence to our students is, therefore, a very important part of the curricula. This lecture is filled with life in the exchange semesters our students can attend during their studies, and, of course, in the internships abroad in the companies. Nearly 40% of our students go abroad during their studies. And what are the activities of your university abroad? The second pillar of internationalisation consists, indeed, of our own activities abroad, where our partners report demands and needs. Take Kecskemet in Hungary, where Daimler and Knorr-Bremse and other enterprises are active. Together with the university there and the German industry, we have designed an engineering course on site, to which we contributed with our Know-How. Our tasks are the conception, the mediation of teachers and also the quality control. In Taicang in China, where Kern-Liebers and many other medium-sized companies from Baden-Württemberg are based, we have created an engineering degree program for 25 students together with the dual partners and the Chinese education partners. In this case, we applied our advisory capacities and have developed a model of a curriculum in consultation with a local education partner and our industry partners. We also help in the further education of teachers in the premises of the companies. But the responsibility for the organisation as well as the awarding of degrees lies entirely with the partner in Nanjing. We have no claim to establish our own colleges abroad. So, acting like the Anglo-Saxon universities, which are expanding abroad with their own brand, is out of the question for the DHBW…? Yes, definitely. On the one hand, we wouldn’t be able to deal with the specific features of the local and different educational cultures. What is important to us is the feedback from companies that want to remain internationally competitive. This also helps the business developers, who thus make their region more attractive for the investment and settlement of industrial companies. Our advice is appreciated, by the way, also in the third pillar – our involvement in development cooperation. Here, we work together with the GIZ (abbreviation for the German term for “German Corporation for International Cooperation”), especially in Latin America. There is now a network of nine universities and colleges, called the “Dual University Latin America”. Currently, we are also involved in building a dual university in East Jerusalem. Deliberately not, because we can not really actively go into recruiting abroad. The prerequisite for studying at the DHBW is, in addition to the Abitur (German high school degree), still a signed employment contract of the students at a company. Of course, if one of our industry partners announces the need to train 15 to 20 people from all over the world here in Baden-Württemberg, then we can respond to the demand of the Dual Partners with curricula and even provide courses in English. But the initiative must come from the companies. We must and want to focus on our core business here in the country. And despite that, the international admiration of the dual model in Baden-Württemberg won’t diminish. What requirements must be met to enable the successful implementation of the dual studies abroad? First of all, it is important not to confuse our model with that of the dual vocational training. Those two different concepts are very often thrown together and regarded as a promising German solution: If your country had it as well, you would perform the same in the global competition. This view is, I think, nonsense. I see four prerequisites for a dual orientation to work. Yes, that’s right. Many politicians only see the successes of this model, but the cultural, financial and educational conditions that must exist for this success are often not considered. The DHBW is, therefore, not an export good that you can easily shop. It has to be done locally, by the people there. And the DHBW’s DNA also means that we are an innovative university, a third, independent pillar in the educational landscape – and not a hierarchically subordinate add-on to the regular operation of universities or technical colleges. This is the only way we have become attractive – for the best high school graduates in the State as well as for education policy far beyond Baden-Württemberg and Germany. The Dual University Latin America is an association of Latin American universities that originated from a development aid project in Colombia. The training of young trainees as part of a dual study program in cooperation with local companies was originally supported by the Gesellschaft für Technische Zusammenarbeit (“Society for Technical Cooperation”, now called German Society for International Cooperation, in short GIZ) as a peace-building educational measure. Meanwhile, the network is with nine colleges active in four countries (Ecuador, Colombia, Mexico and Peru) and offers German companies the opportunity to train young professionals for the region as part of a dual study program. In addition to the traditional academic cooperation through student and lecturer exchanges, DHBW offers a DAAD-supported double degree program at the aforementioned universities in Latin America.